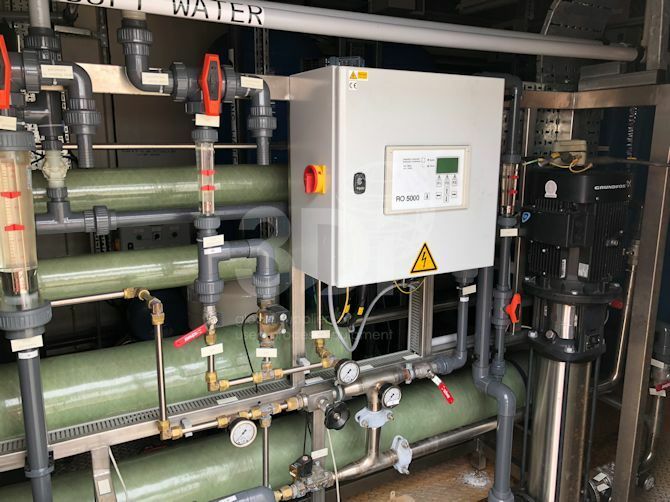 Used 4,000 Litre/hr Reverse Osmosis System supplied and installed by Nalco, 2010. 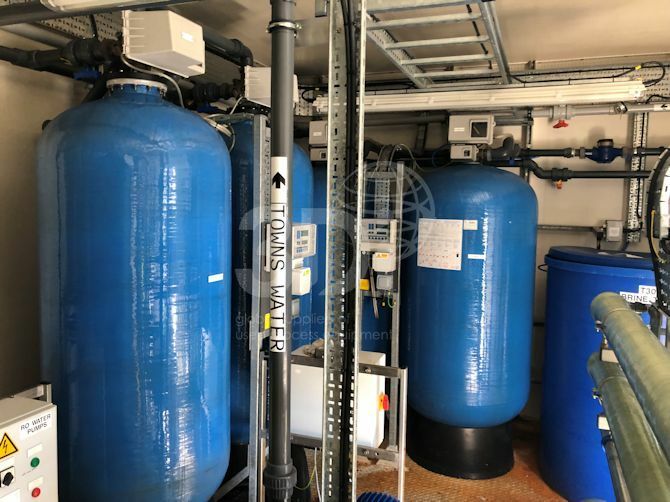 This system consists of the following equipment: (1) 4,000 litre mains water break tank, (2) pressure controlled duplex booster set with control panel, (1) duplex carbon filter, (1) Fleck duplex 2910 softener, (1) 21,000 litre grp salt saturator tank, (1) brine tank, (1) Herco reverse osmosis package model UO 4000 KR, (1) 4,000 litre ro water break tank. 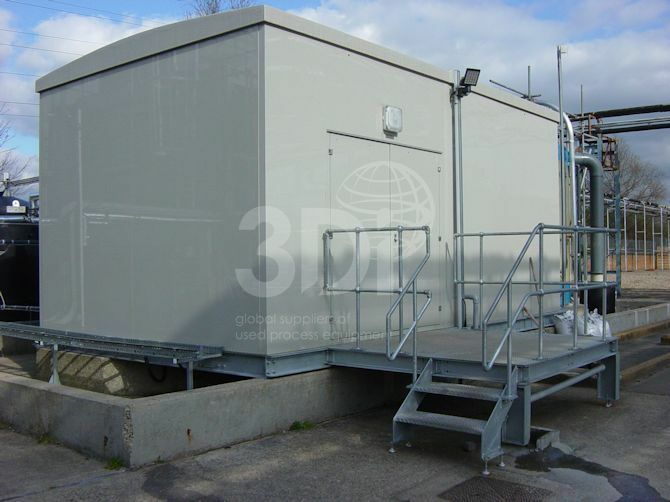 The equipment is housed in a GRP constructed kiosk, with a steel platform base. The system takes in towns water and softens it. 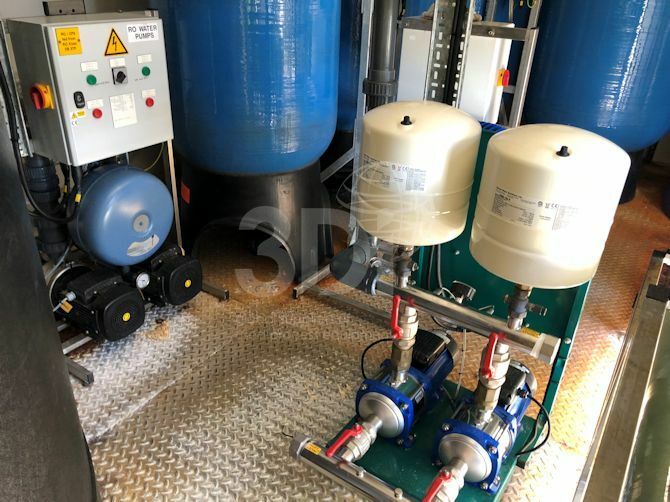 The softened water is then supplied to the reverse osmosis unit which then supplies permeate on demand. The system is fully automated.